£50 deposit secures your holiday and the balance payable is 8 weeks before arrival. There is also a £50 damage bond that is fully refundable within 7 days of departure if the caravan is left as found. What dates are you looking for please? How many adults and children in your party please? 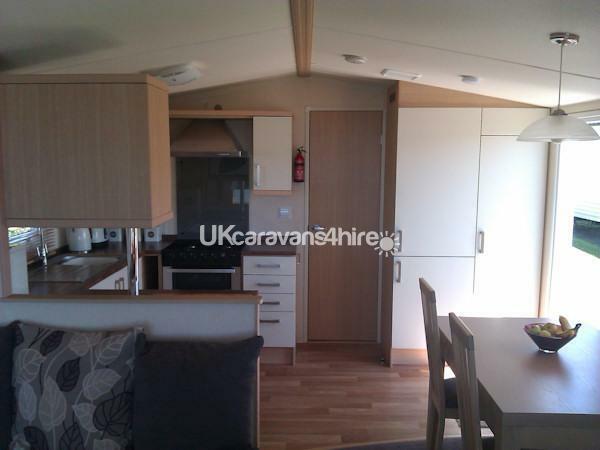 SWIFT MOSELLE PLATINUM Static Caravan. As NEW, privately owned on 5 STAR fabulous site. 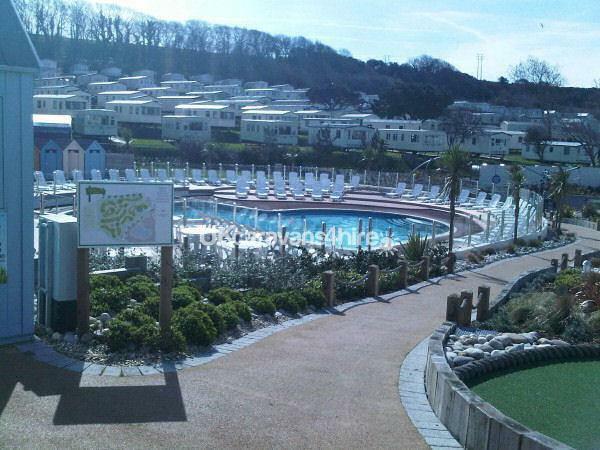 Littlesea Holiday Park in Weymouth. Located just 4 caravans opposite Reception, to all the site amenities, tarmac parking space right outside caravan door, (see last photo) with sea views and bench seating/table on grass area. One of the largest plots here! Great caravan holiday. Inclusive of decking, with table and chairs! Full central heating and double glazing throughout. New, FREE travel cot brand new and FREE high chair brand new at no extra cost. Less to add to car! We can book 7 day holidays or Monday to Friday. Weekends are limited. (Summer holidays are mainly Saturday to Saturday) Ring or email with your preferred dates. 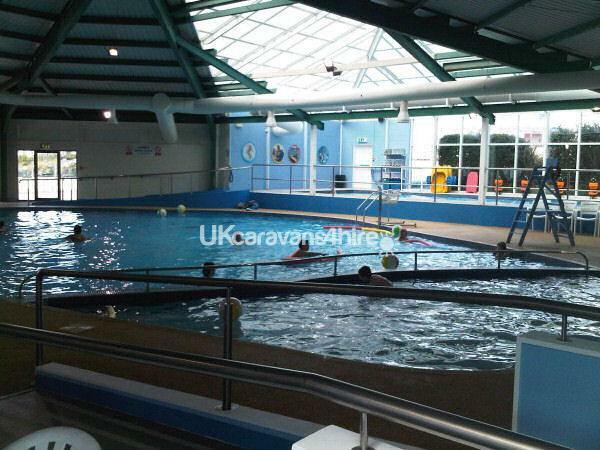 The caravan position is literally 50yds from Littlesea Holiday Park Reception. You will need to go through reception to get to ALL amenities. It's far enough away so you can't hear anything, however it's fantastic for those late nights home! The Lounge is absolutely perfect. 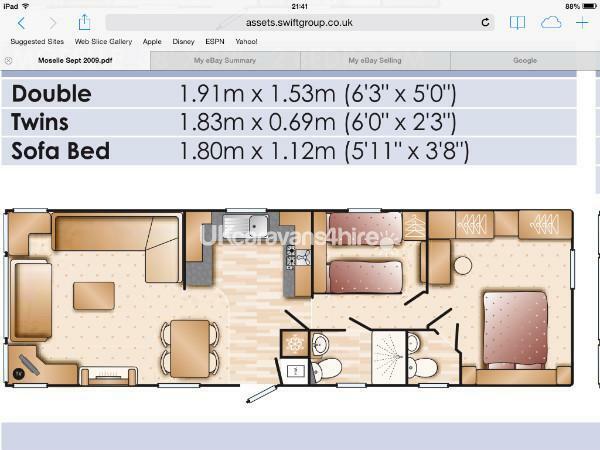 Double settee and large corner suite with double bed. Sleeps 6 in total. Sea views from the lounge front window. New for August 2018, 42 inch TV with a DVD player plus all free view channels. Including PS2 with games. Fully equipped kitchen with preparation area, includes microwave, gas cooker, gas hob, kettle, toaster, bread bin, tea, coffee, sugar containers. Large chopping board, large integrated fridge and freezer. Hairdryer, Iron and hoover also in the caravan for your use. Large bathroom with shower and toilet. Plus socket for electric shaver. 1 Double bedroom extremely spacious, ideal for travel cot with 2 x double wardrobes and dressing table including En- suite. 1 x twin bedroom with single wardrobe. Both bedrooms has overhead cupboards. Fresh/clean every rent, mattress and pillow case protectors, duvets and pillows will be provided. Bring your own sheets, duvet/pillowcase covers. Should you want your beds made up on arrival, there will be a charge for this. Arrival times are 2.30 pm and departure times 10.00 am. At the time of booking a non refundable £50 deposit is required. 6 weeks before your holiday the final balance is due, along with a £50 waiver fee which will be returned providing there is no damage or items missing. This will be returned within 7 days of departure. Should a booking be made within 4 weeks of the holiday, the deposit and balance are due at the time of booking. Pleasure boats and private yachts, and nearby Portland harbour is home to the Weymouth and Portland National Sailing Academy, where the sailing events took place in 2012 Olympic Games. Littlesea Holiday Park is a very well secure site situated in a secluded bay. It has daytime and evening entertainment, all age kids club, indoor/outdoor eating, shop, takeaway and laundrette, indoor/outdoor heated pool, multi sports court, archery and fencing, plus so much more. There is even a bus stop opposite reception that leaves from site to Weymouth beach/shops. Excellent family holiday! 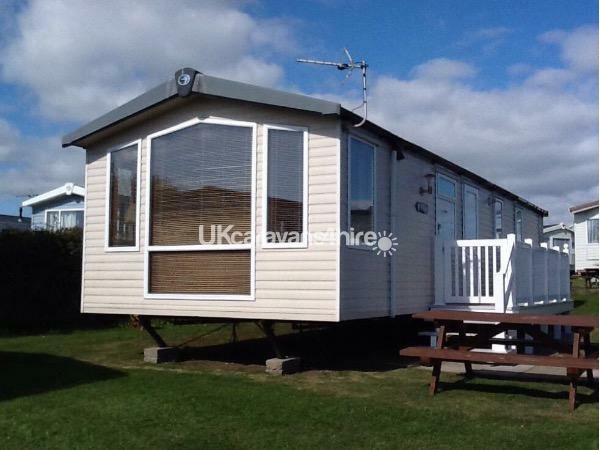 or 07747 013974 for further information and availability for this caravan at Littlesea Holiday Park. This was booked very last minute, and I'm so glad I found this! Michelle was so very helpful detailing exactly what was needed and advising all information about the caravan, answering any questions I had. The reception staff at the site also could not have been more helpful and the amenities were excellent. 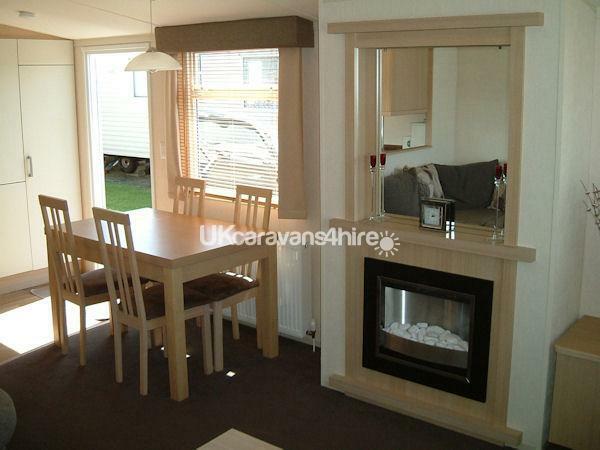 The caravan is situated in an excellent location, very close but away from the noise. 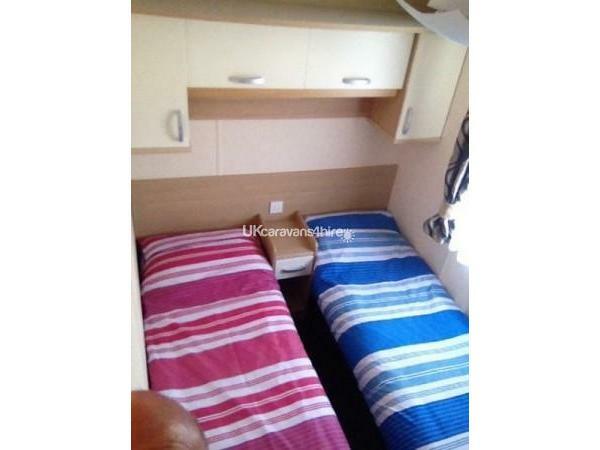 The caravan is amazing,VERY CLEAN throughout, home from home, so spacious and has everything to hand.You have a lovely view of the sea and are not overlooked by other vans which makes it quite private. Lovely Garden bench, which we took advantage of in the lovely November sunshine(!) Games provided - We played a new board game which we had never heard of and had a good giggle! Thanks very much - we would love to come back again - you made everything so special. OMG. How Amazing that someone feels so strongly about our beautiful caravan and not just us! Yes, the site is also fabulous with wonderful staff. We are so glad you had a wonderful week and it wasn’t even a summer month! I wish I could leave a review for you because you have left the caravan soooo clean and tidy and we thank you for that. It really is so appreciated. We would love you to come back! Absolutely perfect caravan! Our whole family loved staying in this lovely caravan all things we needed were provided. The living room area was so homely and comfortable. I couldn't fault anything with the caravan or host everything was spot on and extremely clean! Thank you very much for great feedback. Fantastic accommodation, could not recommended the friendly and helpful host enough. Michelle went above and beyond with our booking keeping us updated on our booking and full information on arriving time and advice on parking etc. The simple things that are sometimes over looked was very helpful for our first visit to Weymouth, the host offered great advice on places to visit in Weymouth, for younger and older children and also lovley places to eat and park. 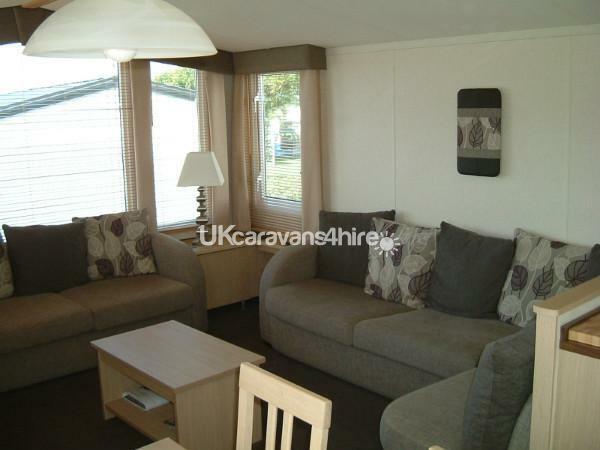 The caravan exceeded all expectation with a fantastic living room layout and really comfortable sofa, very homely and modern. Caravan is well equipped with all the kitchen essentials provided by the host, plenty of storage facilities with TV, PlayStation, board games. Overall was a lovely family holiday and will definitely book again. Fantastic site location beautiful sea views and a stone throw from the clubhouse. Wow. Thank you very much for your kind words. 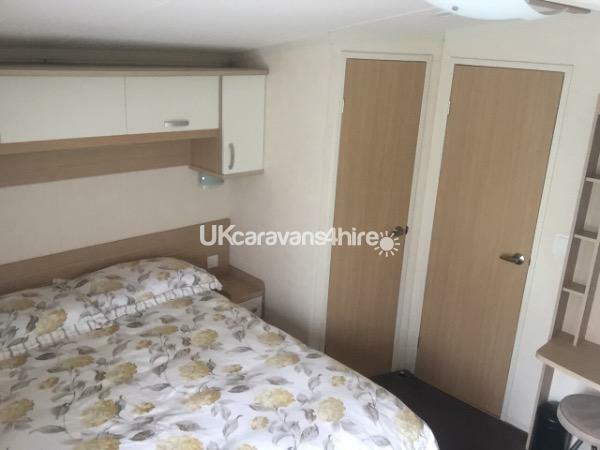 We have stopped in this caravan on a number of occasions now and this is down to the friendliness of the owners plus the van is spotless every time we go down and well positioned on the site (close to amenities, but not too close that you hear a lot of noise) and it is excellent value for money. A lovely caravan. Very homely and spacious. Owners extremely helpful and always avaliable for questions. Would highly recommend. Little sea was a nice park, lots to do and situated very central to lots of other things to do.